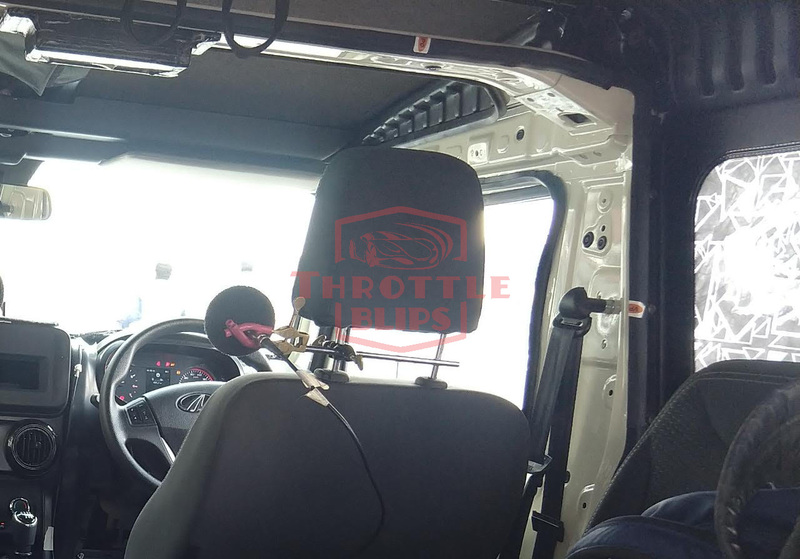 Throttle Blips has come up with new spy images of the 2020 Mahindra Thar. Other than showing a heavily camouflaged exterior, the latest set of spy pics even partially reveal the interior. Underpinning the 2020 Mahindra Thar will be an all-new platform that will be shared with the next-gen Mahindra Scorpio. This should lead to improved passenger comfort and vehicle dynamics. 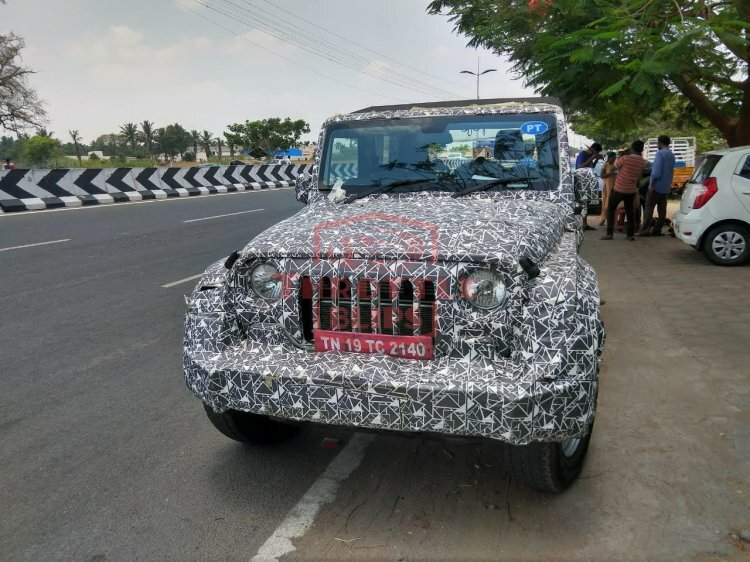 As revealed by a recent set of spy images, the exterior design of the 2020 Mahindra Thar is an evolution of that of the current model. It features comprehensively updated panels, especially at the front, but the traditional design theme has been retained. The new doors come with lower-set handles for improved ergonomics while the canopy is a tad smaller owing to the marginally higher-set rear deck. The 2020 Mahindra Thar features a newly design dashboard, although there is some resemblance of the old model. The instrument panel is more car-like and houses a digital MID between the tachometer and the speedometer. There's a new steering wheel in front of that, and that too a multifunction one. It looks similar to that of the Mahindra TUV300. The central air vents are similar to that of the current model, and above them, there's likely going to be a touchscreen infotainment system. The 2020 Mahindra Thar will be underpinned by an all-new platform that will be shared with the next-gen Scorpio. It will be strong and safe enough to pass through BNVSAP's crash tests. Its standard safety suite will include ABS, driver airbag, driver and co-driver seat belt reminder, rear parking sensors and speed alert system. The top-spec version could even offer a front passenger airbag. The 2020 Mahindra Thar will feature a more sophisticated interior that will be kitted out with features like a multi-function steering wheel and a touchscreen infotainment unit. The 2020 Mahindra Thar will be propelled by an all-new 2.0-litre diesel engine that is expected to output 140 hp and 300 Nm. This engine will likely come mated to a 6-speed manual transmission. The launch should take place by the middle of next year.